If you've ever read a novel by bestselling author James Patterson, you pretty much know what to expect from him. Usually assisted by a co-author, Patterson delivers numerous novels throughout the year, all of which follow the same basic formula. Despite this cookie-cutter approach, I've always been a fan of this prolific author. While his books rarely offer more than surface level thrills, their fast pacing and straightforward prose are often the perfect cure for a reading slump. After the events of the previous novel, I, Michael Bennett, NYPD Detective Michael Bennett and his clan of ten adopted children, Irish nanny Mary Catherine, and Grandfather/priest Seamus are in hiding. The capture and arrest of Mexican drug lord Manuel Perrine was one of the greatest achievements of Bennett's career, but with Perrine's recent escape and vow of vengeance, Michael isn't taking any chances. He's moved his family from their home in New York to a secluded ranch in Northern California. The kids have adapted well to their new rural surroundings, but Michael knows the transition has not been easy on them. They wake up each day with the fear that Perrine will use his vast resources to discover their location and exact his revenge. In addition to his personal vendetta against Michael, Perrine has also declared war on every criminal who has ever done him wrong and plans to expand his thriving drug business into the United States. He methodically executes anyone who stands in his way and has no trouble traveling between the border undetected. After eight months of violent escalation, a desperate FBI contacts the only man who has ever had any success against Perrine. . . Michael Bennett. With the safety of his family and the entire nation on the line, Michael attempts to bring the world's most wanted man to justice. I was extremely disappointed in the cliffhanger ending of the last book in the Michael Bennett series. So much so, in fact, that it took me nearly three years to get around to reading this conclusion to that story. Fortunately, this one brings the story to a satisfying end. While this novel works as a stand-alone story, you really should read the previous book to get the full context of the narrative. 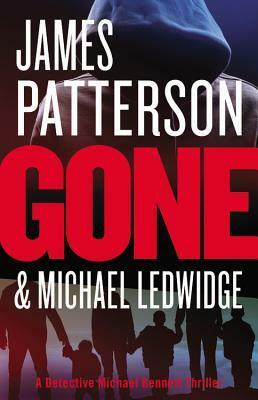 As this is the sixth novel in the series, Patterson devotes much less time to Michael's personal life and spends the majority of the novel writing the page-turning action that he's become so well known for. I raced through this book in a few hours and enjoyed every second of it. Still, this novel is closer to the more generic Patterson books than the much better first novels of this series. If you've already read the rest of the Michael Bennett books, you'll probably find everything you're looking for in this one. If, however, you're looking for an original or deeper story, you may be slightly disappointed with this installment.